Are you ready for a retreat? 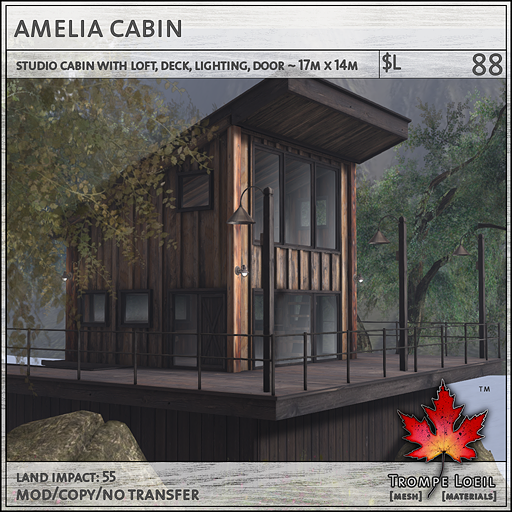 In the mountains or on the lake, the perfect setting for escape should have a cozy rustic feel – like our new Amelia Cabin for Collabor88 February! This single-room cabin with loft features a surrounding deck with stairs, gently glowing candles, built-in exterior lighting with our *home control scripting system, and a low land impact that works great for smaller parcels, or as a secondary residence. 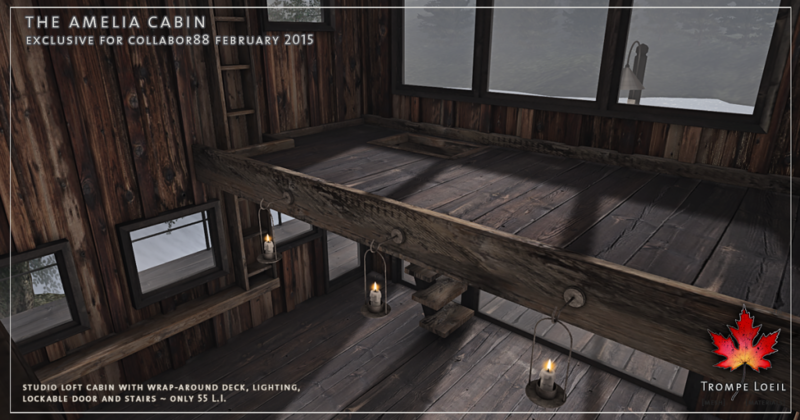 Plus, for the month of February at Collabor88, its only $L88 – a real steal! While you’re at the event, don’t forget to pick up seating for you and that special someone – our Amelia Loveseat! 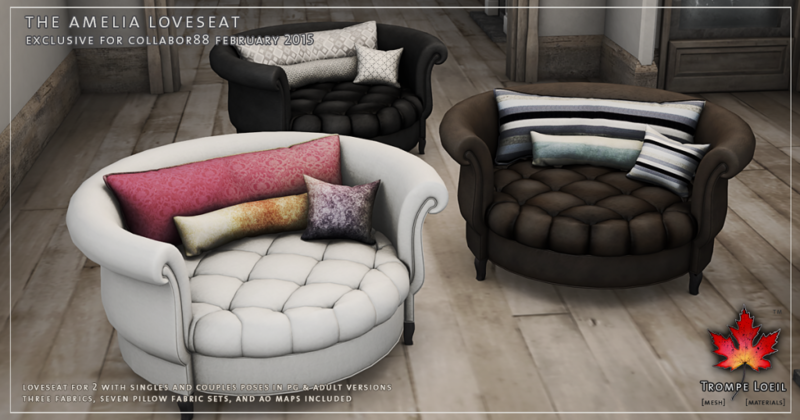 Available in PG and Adult versions, we’ve included black and brown leather plus white cloth versions, 7 fabric sets for the pillows, and the AO maps for all pieces – create your own uniquely textured masterpiece! 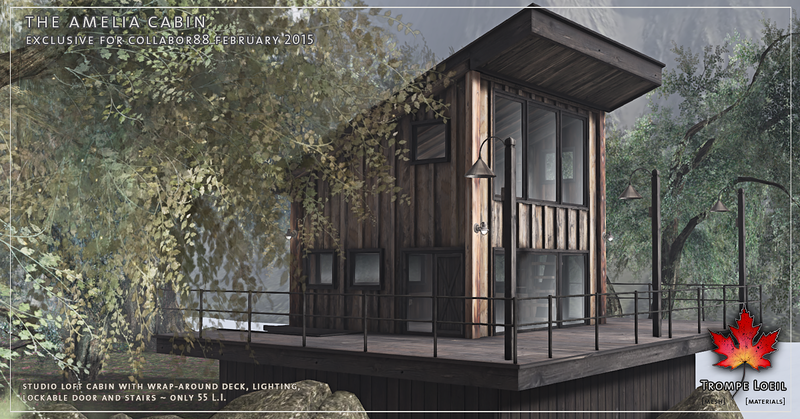 These Collabor88 sale prices won’t last long, so swing by before the end of February!